Singapore Airlines' KrisFlyer frequent flyer scheme is a savvy alternative to Qantas Frequent Flyer and Virgin Australia Velocity, as you'll often need fewer points – or miles, in KrisFlyer parlance – to book comparable flights, and with minimal taxes and fees to pay on the side, keeping your travel costs down. As Singapore Airlines is a member of the global Star Alliance family, KrisFlyer miles can also be used to book flights with airlines like Air Canada, Air China, Air India, Air New Zealand, ANA, Asiana, EVA Air, Thai Airways, United and more: all of which are out-of-reach to travellers directly spending frequent flyer points from other Australian programs. 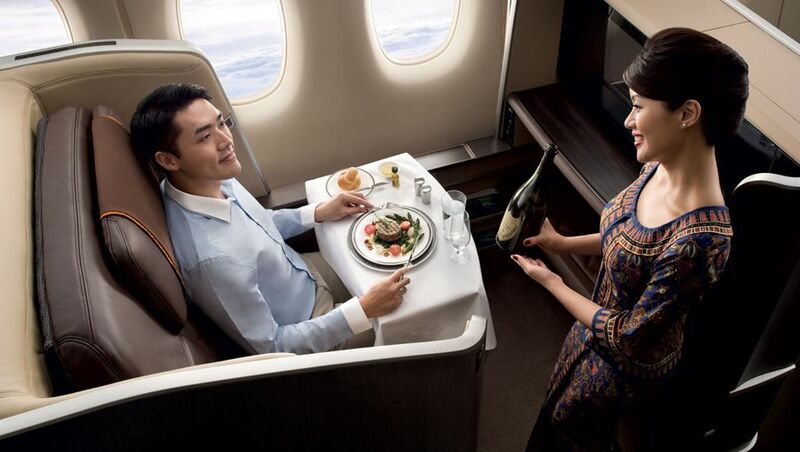 Naturally, many people consider the best use of KrisFlyer miles to be booking flights directly with Singapore Airlines, including in business class and first/Suites Class, as there are often plenty of opportunities to do so, both for travellers who plan ahead and book at shorter notice. To help boost your balance of KrisFlyer miles, here are the top eight Visas and Mastercards for earning KrisFlyer miles in Australia, to complement your higher-earning American Express or Diners Club card so that you can earn KrisFlyer miles in more places, and unlock your next reward flight sooner. With a solid base earn rate of 0.75 KrisFlyer miles per dollar spent, uncapped – boosted further to 0.825 KrisFlyer miles per $1 spent via a 10% birthday bonus – the St.George Amplify Signature Visa with Amplify Points credit card comes out on top for miles with Singapore Airlines. As the name suggests, those points are earned through the Amplify Rewards scheme: that's 1.5 Amplify Points per $1 spent, converted to KrisFlyer at a 2:1 rate, giving 0.75 KrisFlyer miles (plus that 10% birthday bonus). There's also currently a reduced annual fee of $179 in the first year (reverting to $279 in the years thereafter) when you apply by May 22 2019, and if you apply by that date and spend at $12,000 on purchases each year for the first two years, you can also earn up to 200,000 bonus Amplify Points, worth up to 100,000 KrisFlyer miles under today's 2:1 rate. Next in line with up to 0.66 KrisFlyer miles per $1 spent, the $375/year ANZ Rewards Black Visa card: providing two ANZ Reward Points per $1 spent (up to and including $5,000/month) which convert to KrisFlyer at a 3:1 rate. Monthly purchases above $5,000 accrue a reduced 1 ANZ Reward Point per $1 spent (0.33 KrisFlyer miles), although eligible new customers who apply and spend $4,000 on eligible purchases in the first three months from approval can also receive 100,000 bonus ANZ Reward Points, being 33,333 bonus KrisFlyer miles. Meet that spend target and you'll also get $100 back on your new card – reducing the sting of the first year's annual fee – and as an ANZ Rewards cardholder, you'll also gain access to the ANZ Bonus Points Mall, where you can earn up to 10 ANZ Reward Points (3.3 KrisFlyer miles) per dollar spent on a range of online purchases, in addition to the points normally earned via your card. This one's a little trickier, given that you'll first earn points in the Virgin Australia Velocity scheme and then convert them into KrisFlyer miles, but Virgin Money's Virgin Australia Velocity High Flyer Card can generate a respectable 0.645 KrisFlyer miles per $1 on monthly spends of up to $8,000, and 0.32 KrisFlyer miles per $1 spent beyond that. It works like this: first, you'll earn one Velocity point per $1 spent (up to $8,000 per month) or 0.5 Velocity points per $1 spent beyond that threshold, and once those points are in your Velocity account, you can convert them straight to KrisFlyer at a 1.55:1 rate to unlock the earning rates just mentioned. This card carries a $289 annual fee, but savvy spenders who apply by April 30 2019 can take home 30,000 bonus Velocity points (19, 354 KrisFlyer miles) in each of the first three months where at least $3,000 is spent in that month, up to a grand total of 90,000 bonus Velocity points (58,604 bonus KrisFlyer miles) at the end of month three. There's also a $129 Virgin Australia flight voucher included every year to help offset the annual fee. Another option for savvy points collectors is the Coles Rewards Mastercard, which serves up two Flybuys points per $1 spent, worth 0.87 Velocity points: which, in turn, fetches you 0.56 KrisFlyer miles per $1 spent when converting onwards from Velocity to KrisFlyer. Given that complexity, this option isn't for everybody, but with an annual fee of only $99 and no international transaction fees on purchases, it's worth a look for those who don't mind the hassle. There's no cap on earning Flybuys points, although there's normally a limit as to how many points you can convert to Velocity every year: a precise 138,000 Flybuys points (earned from $69,159 of card spend), worth 60,030 Velocity points, or 38,729 KrisFlyer miles. Occasionally this cap is waived during promotion periods, so keep your eyes open. Close behind with an uncapped earn rate equal to 0.5 KrisFlyer miles per $1 spent is the St.George Amplify Platinum Visa with Amplify Points credit card, which again makes use of the bank's Amplify Rewards scheme. You'll begin by earning 1 Amplify Point per $1 spent on purchases, which converts to KrisFlyer at a 2:1 rate. There's a $99 annual fee to pay, but with an offer of up to 100,000 bonus Amplify Points when you apply by May 22 2019 and spend $6,000 on eligible purchases each year for the first two years. That's worth 50,000 bonus KrisFlyer miles at today's conversion rate, and with no fees for adding an additional cardholder, your partner or spouse's spend could also help to boost your Amplify Rewards (and subsequently, your KrisFlyer miles) balance. Also with a earn rates of up to 0.5 KrisFlyer miles per $1 spent – but on the first $2,000 of monthly spend (0.16/$1 thereafter) rather than uncapped – the ANZ Rewards Platinum Visa, and also the ANZ Rewards Travel Adventures Visa, which adopt the same earning and conversion rates through the ANZ Rewards program. Pick the Rewards Platinum Visa and you'll pay a $95 annual fee, but can also fetch 50,000 bonus ANZ Reward Points (16,666 bonus KrisFlyer miles following a 3:1 conversion) when you apply and spend $2,000 on eligible purchases in the first three months from approval. Or, lean towards the bank's $225/year Rewards Travel Adventures Visa, and you'll get a free return Virgin Australia domestic flight every year and two Virgin Australia lounge passes every year until the card is cancelled. Offering an uncapped earning rate of 0.416 KrisFlyer miles per $1 spent via the Altitude Rewards program, Westpac's $250/year Altitude Black Mastercard. Generating 1.25 Altitude Points per $1 spent on eligible purchases with a 3:1 conversion to KrisFlyer, this option may prove more rewarding for higher spenders than the ANZ cards above (on which the earn rate reduces significantly after a $2,000 monthly spend), whereas Westpac's card earns points without limit. Eligible new cardholders who apply for the Westpac Altitude Black Mastercard by June 2 2019, select 'Altitude Rewards' as their loyalty option (as opposed to 'Altitude Qantas', for Qantas Points) and spend $3,000 on eligible purchases within 90 days of approval can also pocket 80,000 bonus Altitude Points, being 26,666 bonus KrisFlyer miles following that 3:1 conversion. 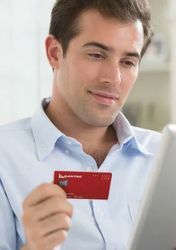 Although the focus here is on earning KrisFlyer miles on 'non-AMEX' spend, the Westpac Altitude Black Mastercard can be optionally bundled with an American Express Westpac Altitude Black Card, which provides the equivalent of one KrisFlyer mile per $1 spent in Australia and 1.66 KrisFlyer miles per A$1 spent abroad, although a separate annual fee of $199 applies to the American Express card, which is issued and serviced by American Express. Similar in style to the Velocity High Flyer Card listed above, the Virgin Australia Velocity Flyer Card can deliver up to 0.425 KrisFlyer miles per $1 spent (up to $1,500/month: 0.32 KrisFlyer miles per $1 spent beyond), by converting the Velocity points you earn into KrisFlyer miles directly from your Velocity account. That's because you'll earn 0.66 Velocity points per $1 spent on the first $1,500 every month (0.425 KrisFlyer miles) and 0.5 Velocity points per $1 spent beyond (0.32 KrisFlyer miles), given the 1.55:1 conversion rate from Velocity to KrisFlyer. An annual fee of $129 applies, but you'll get a $129 Virgin Australia flight voucher to use every year to offset that cost, with eligible new cardholders also unlocking up to 75,000 bonus Velocity points (48,387 bonus KrisFlyer miles) when applying by April 30 2019 and spending at least $1,500 per month in each of the first three months.